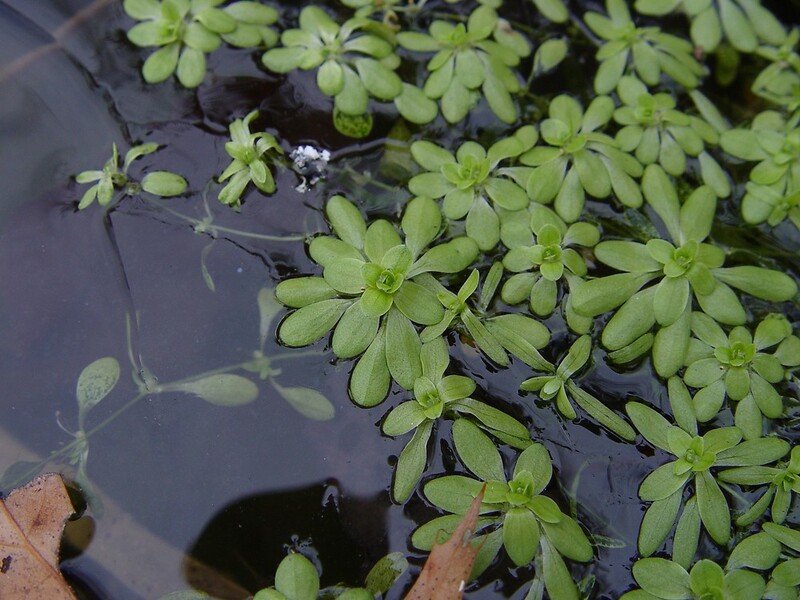 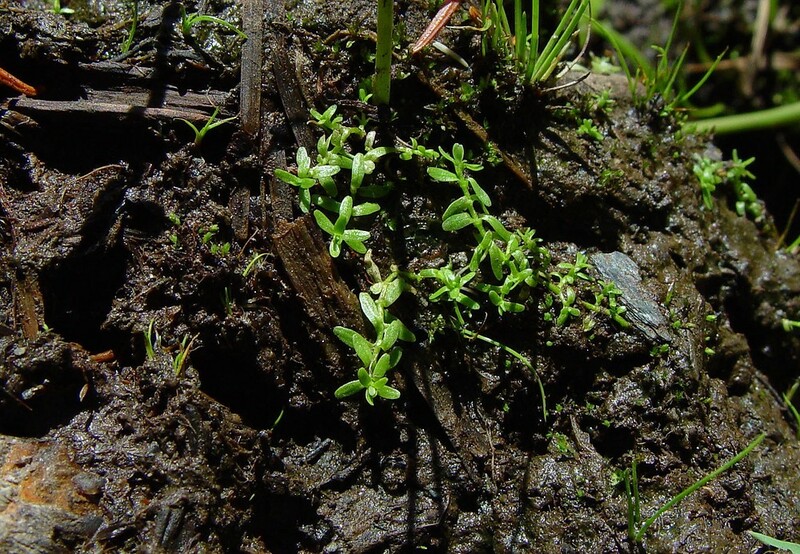 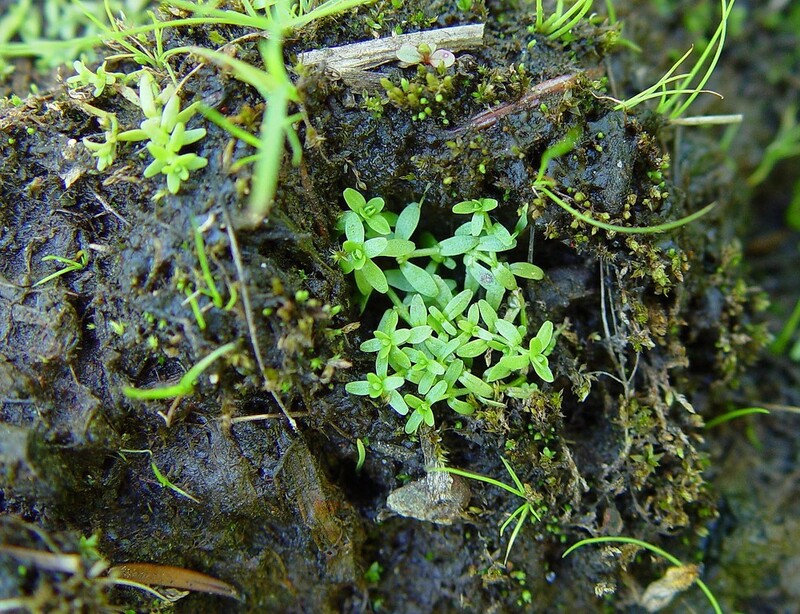 Vernal water-starwort prefers still or slow-moving waters, but it sometimes becomes exposed as water levels decline. 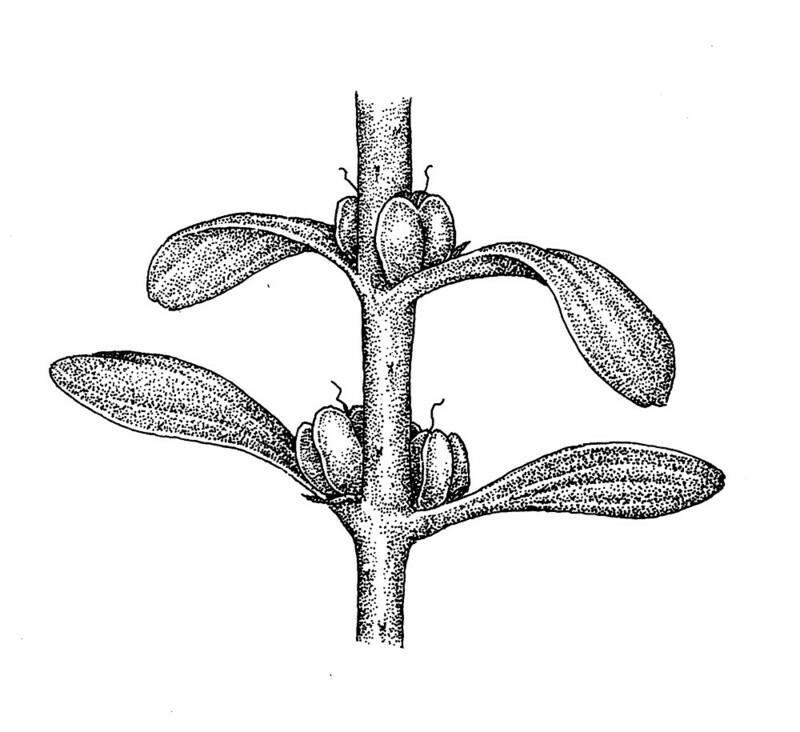 Ducks and other waterfowl eat the leaves and fruit. 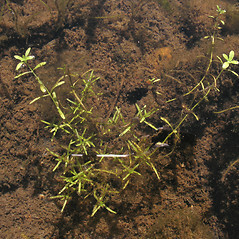 It also provides protective habitat for fish. 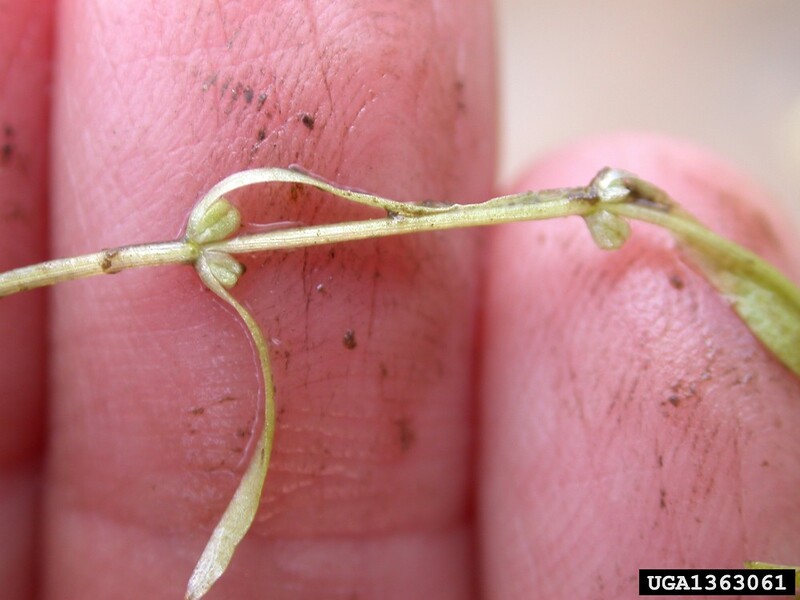 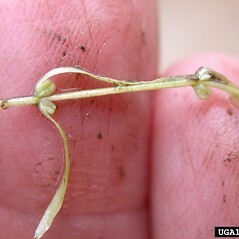 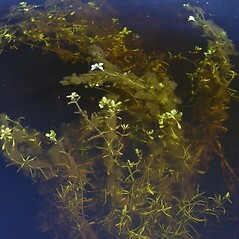 Water starworts (Callitriche) are remarkable for having flowers able to be pollinated by wind when emergent (anemophily), by water when floating at the surface (epihydrophily), as well as when submerged (hypohydrophily). 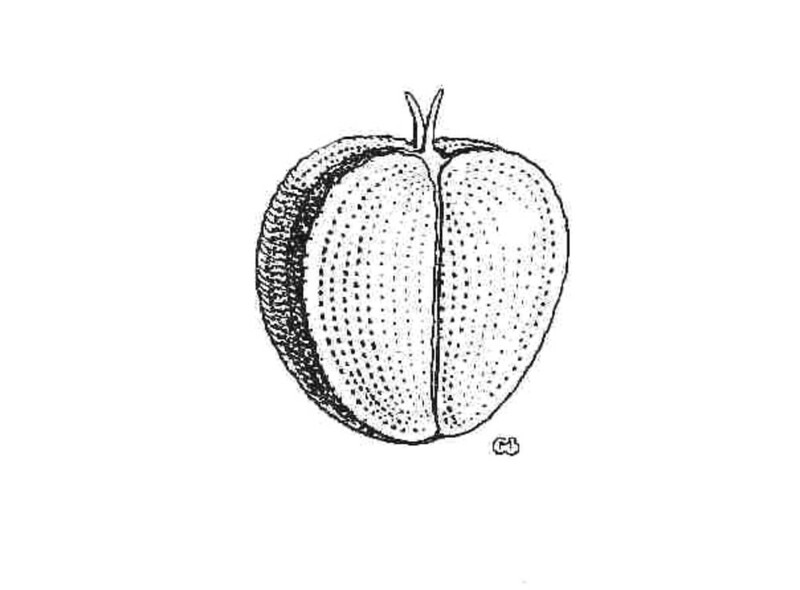 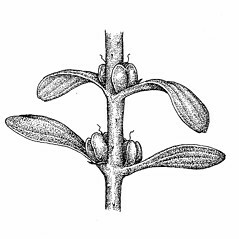 fruit about as wide as long, lacking a thin wing, without or with a shallow groove between the two halves (vs. C. palustris, fruit 0.2 mm or more longer than side, the apical portion of each half with a thin wing and an evident groove between the two haves). 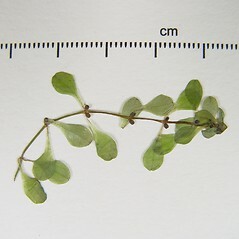 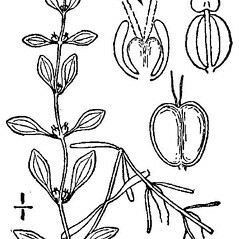 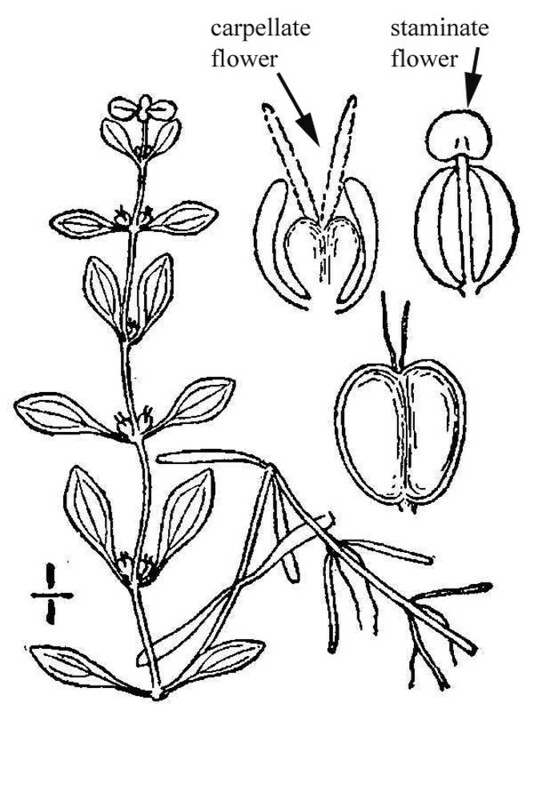 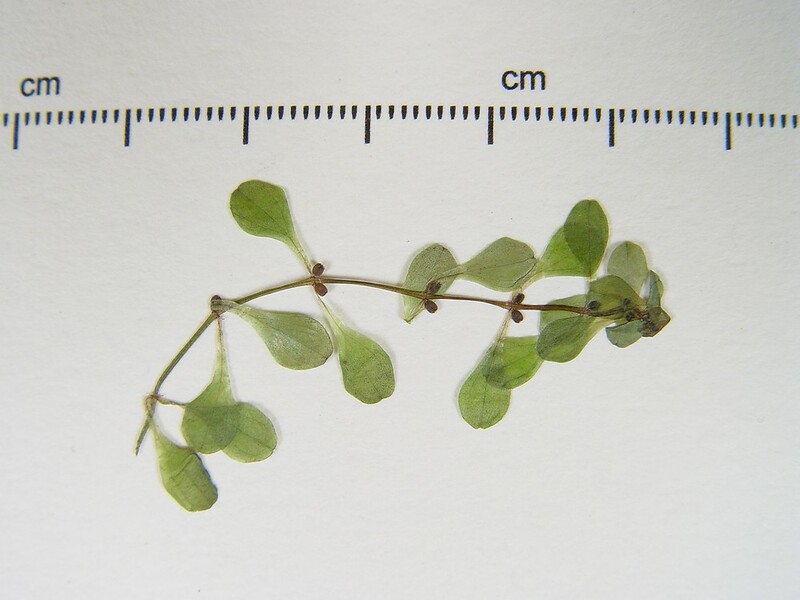 fruit 0.5-0.7 mm long, without subtending bracteoles, and leaves monomorphic, 2-5 mm long (vs. C. palustris, with fruit 1-1.4 mm long, subtended by 2 whitish bracteoles, and leaves dimorphic, the submersed ones 5-15 mm long). 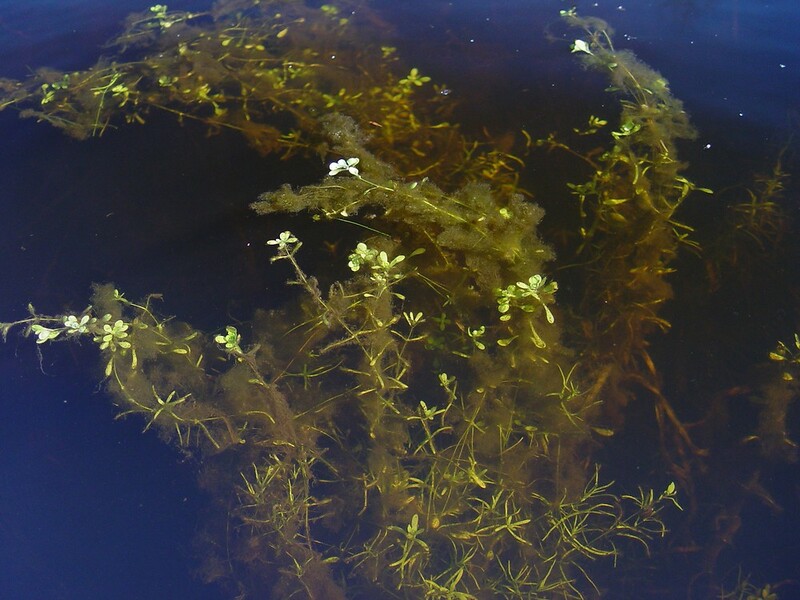 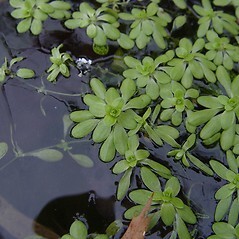 vernal water-starwort. 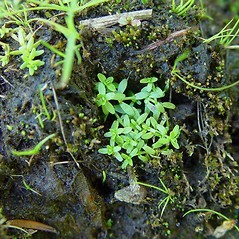 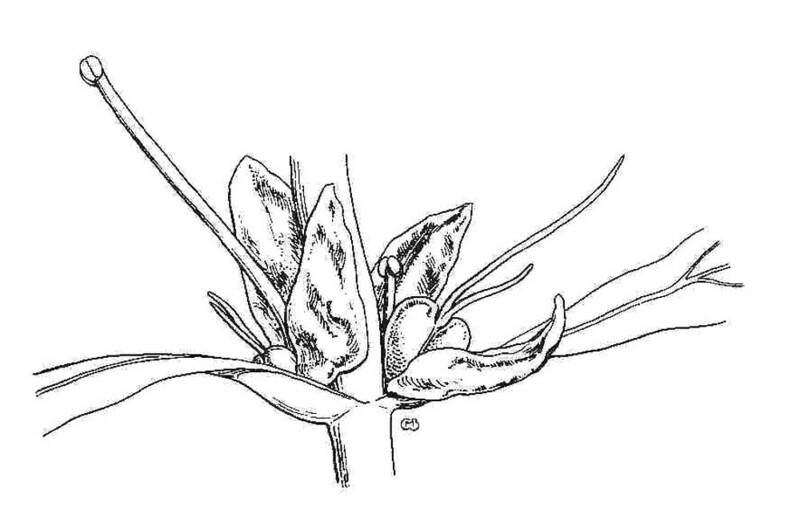 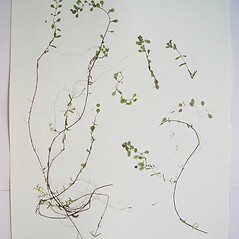 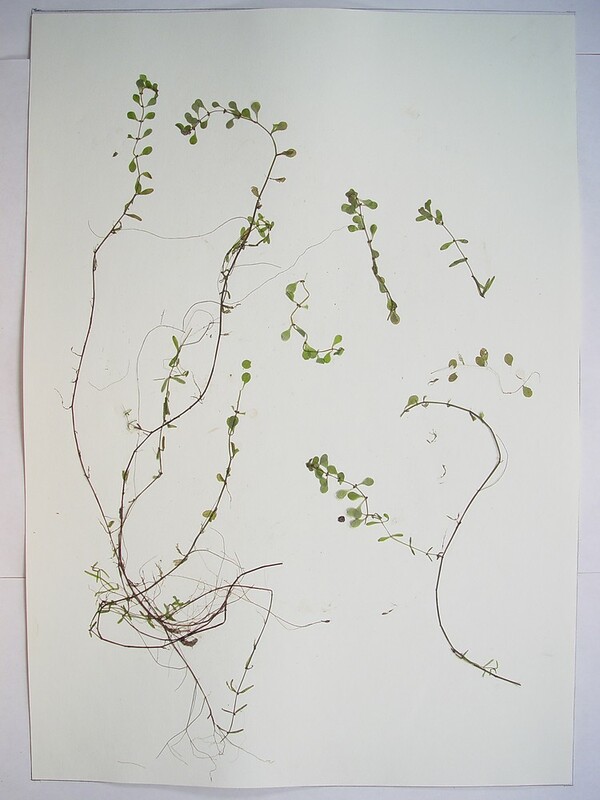 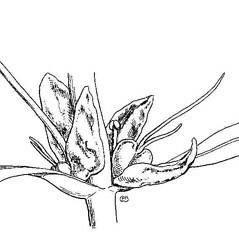 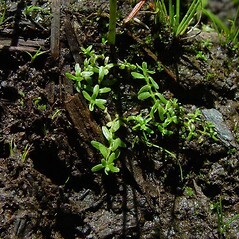 Callitriche palustris L. var. 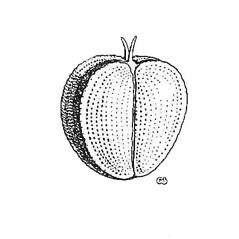 verna (L.) Fenley ex Jepson; C. verna L. • CT, MA, ME, NH, RI, VT. 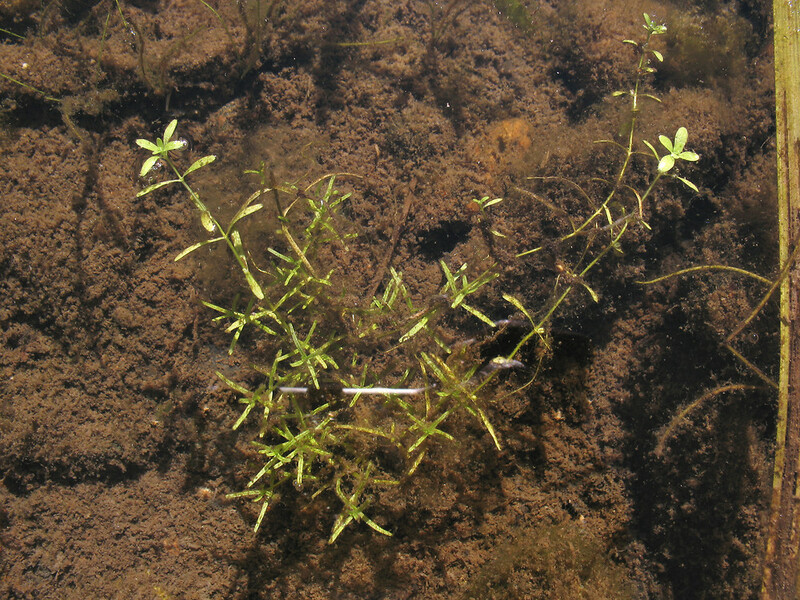 Shallow, still or slow-moving water of rivers, lakes, and pools, sometimes becoming amphibious as water level declines and then found on shorelines and in wet depressions.